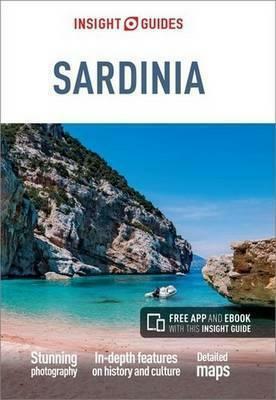 "Insight Guides: Inspiring your next adventure"
Sardinia is known for its crystal-clear emerald seas, snow-white beaches and glitzy resorts, but those who venture inland will be rewarded by equally a beautiful scenery of mountainous landscape and intriguing caves. Be inspired to visit by the new edition of Insight Guide Sardinia, a comprehensive full-color guide to this rugged jewel of an island. A fully-overhauled edition Stunning, specially-commissioned photography that brings this breathtaking island and its people to life. Highlights of the island's top attractions, including Catalan culture in Alghero, glitzy Costa Smeralda resorts and a trip on the quirky "little green train" in our Best of Sardinia. Descriptive region-by-region accounts cover the whole islands from the dizzying limestone cliffs of the Golfo di Orosei to the capital Cagliari, the island's hub of culture and commerce. Detailed, high-quality maps throughout will help you get around and travel tips give you all the essential information for planning a memorable trip, including our independent selection of the best restaurants. Free app for every customer. About Insight Guides Insight Guides has over 40 years' experience of publishing high-quality, visual travel guides. We produce around 400 full-color print guide books and maps as well as picture-packed eBooks to meet different travelers' needs. Insight Guides' unique combination of beautiful travel photography and focus on history and culture together create a unique visual reference and planning tool to inspire your next adventure.